Comment: Basement wall is allowing water to come in when it rains heavily. 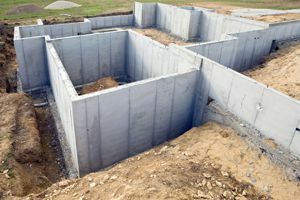 Comment: Need a foundation for a 28X32 detached garage. Comment: I would like to get an estimate for getting a basement waterproofed. We have water coming in. Comment: I would like to get an estimate for have water coming into the basement during heavy rains, want to know how to prevent it. D L S Enterprises, Inc.
Southbury Foundation Contractors are rated 4.76 out of 5 based on 322 reviews of 19 pros. Not Looking for Foundations Contractors in Southbury, CT?